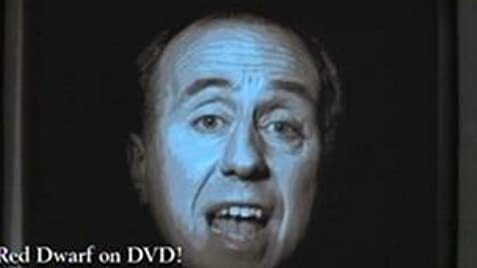 How many episodes of Red Dwarf have you seen? Q: Why does this series lack continuity? Q: When Nova 5 crash landed and the ship's crew died, why didn't Kryten leave Nova 5 and save himself? Q: Who is Ace Rimmer? "A sci-fi comedy? nah...that'll never work." "A sci-fi comedy? nah...that'll never work." That's what many people originally thought about the comedy classic Red Dwarf when the idea was first brought up in the mid 80's. But little did they know it would be so unexpectedly successful that it would actually have a cult following from all over the world. The brain child of Rob Grant and Doug Naylor, Red Dwarf is unlike any other comedy. 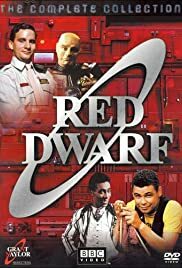 It has a unique British humour, and its sprinkled with dry wit and hilarious one-liners, but any fans of this show will know that there's something more to Red Dwarf than any other comedy ever made. The characters are the most mis-matched bunch of low lifes in the cosmos, but put them together and they work perfectly! Rimmer: the most misunderstood man in the universe? perhaps, but its more likely he's just a great big jerk. He has no redeeming qualities what so ever, and yet it's impossible not to love him. Lister: 50% Space scum. 50% Barely human slob. 100% Absolutely hilarious. The last man alive and he can't even microwave his own socks? Cat: whose 3 main traits are vanity, stupidity and, well, vanity, cat cares only for himself and finds his crew mates disgusting. Kryten: where would the crew be without the humanoid Kryten? I absolutely love this show and have seen all 8 seasons several times, and I plan to watch them many times more. Watching Red Dwarf not only makes the viewer laugh, but the characters are so likable that watching it gives a deeper form of entertainment because the characters almost become like friends. The characters and actors do make this show, who could imagine anyone as Rimmer other than Chris Barrie? Or a better Lister than Craig Charles? The writing is truly very clever and incredibly unique, with subtle jokes as well as obvious rip offs and hundreds of hilarious one-liners. This is one amazing, fantastically unique show that will never be equalled.